A former city official who worked with three Washington, D.C. mayors pleaded guilty Monday to filing a false tax return and cheating the government out of more than $220,000. 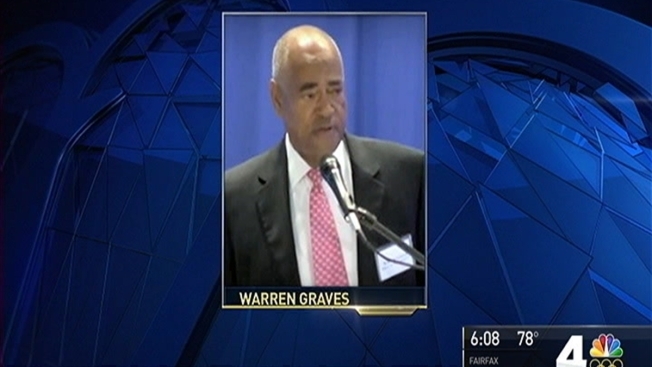 Warren Graves -- who served as chief of staff to former D.C. City Administrator Allen Lew and worked with mayors Marion Barry, Vincent Gray and Anthony Williams -- likely will face one year to 18 months of incarceration, federal prosecutors said Monday afternoon. News4 was first to report on the charges against him. Graves, 63, pleaded guilty in the U.S. District Court for the District of Columbia. Under a plea agreement, he will pay the U.S. Department of the Treasury $220,987. That's the amount prosecutors say he owes after he under-reported his earnings by more than $500,000 from 2009 to 2013. Graves' lawyers did not immediately respond to an inquiry. Prosecutors say Graves owned a consulting firm in D.C. that arranged meetings between D.C. officials, businesses and individuals. Most of this work was done prior to 2009, but some payments continued while Graves was a D.C. employee, prosecutors said. He is scheduled to be sentenced Oct. 25.